Peter from Ontario CA said, "Its been awhile since I last enjoyed a plate of pigs feet. Now that I'm craving the taste of pigs feet, I would like to know how to cook pigs feet.". 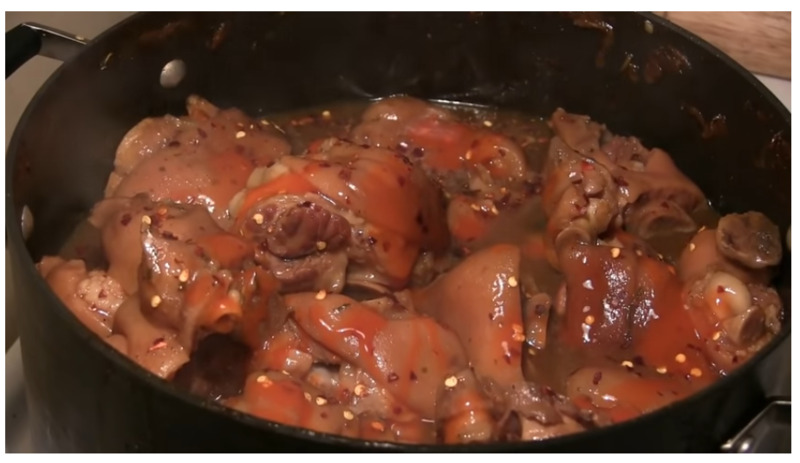 If you're like Peter and want to know and see how cooking pigs feet is done we invite you to check out the information below and also click over to watch the video demonstration. Listed below you'll see a bunch of our visitors comments, were they provide the very best tips, advice, and techniques on how to cook pigs feet. Read them all and try what you believe will work best. 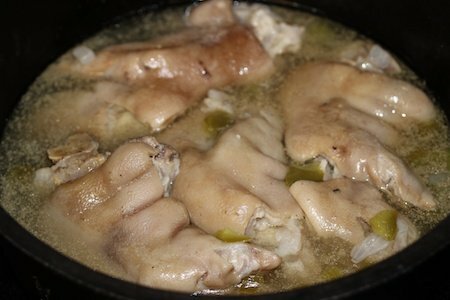 Then get in the kitchen and prepare yourself a pigs feet dinner. I notice that on one par boils the pigs feet to remove sum and sediments, then wash scum off and clean the pot. Once par boiled put the pigs feet back in the pot with clean water. This time season the pigs feet and cook with any other ingredients you like without the scum cooking in the pot. Just the way I do it. I bake mine completely. I wash and scrub them with a potato peeler first. Put them in a deep pan, like a roaster that you would cook a turkey in, add onion, celery, apple cider vinegar. Cover with foil, bake at 350, for 3-4 hours. Excellent. How do you keep whole pig feet from splitting while cooking? THANK YOU SO MUCH FOR THE BBQ PIG'S FEET....you made everything seem so easy, and I LOVE the step by step you are so AWESOME! Each time I cook pig feet they break apart before they are done. How do you keep meat attached to the bones? Tangie's recipe from Maryland was awesome. I didn't have any beer but all the other ingredients and cooking methods made the pig feet delicious and not greasy. My friend who popped in for dinner who turned up their nose at pig feet ate some and thought they were delicious! First I wash the pig feet really well. My mother would the pig feet over the flame on the stove to burn any hair, I use a razor. Next in a big pot place the pig feet, then add beer I use a quart size, then add old bay season salt pepper ( black, and hot red pepper), cider vinegar cook on high for about 1 hour, then lower to medium keep a eye out so they do not run out of juice. A good tip is use a good big pot, the cheap one will cause them to stick cook until done. Next transfer pig feet to a baking pan with a small amount of the juice place in oven on 350 basting until they are shining and tender. 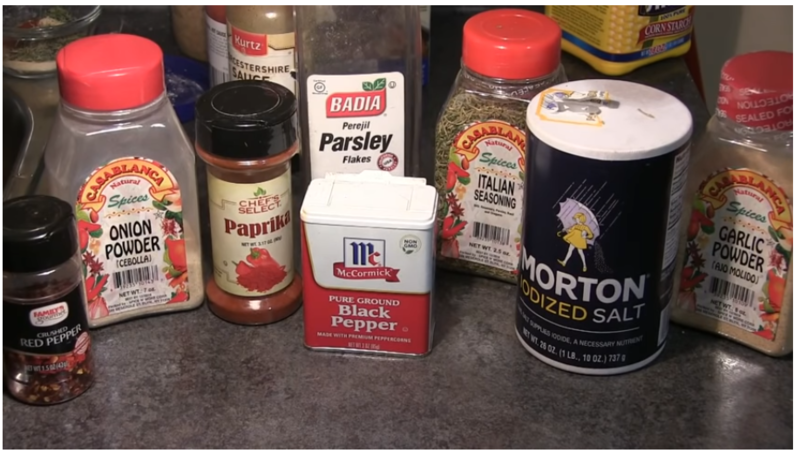 You can add more old bay seasoning to taste. Enjoy. I want to know how to make pig feet because the last time I cooked them they burned. What should I do? Please help me out. Would should I do, so that the next time I cook pigs feet they don't burn?. Peter, thanks for asking the question of how to cook pigs feet. Growing up in the south I've eaten my fair share of pigs feet. In the past, I enjoyed eating pigs feet that had been prepared by boiling or a combination of boiling and baking. If you would like to prepare some juicy, delicious, and tasty pigs feet in your own kitchen just follow the two links below. The first link it for barbecue pigs feet and the second link will take you to a recipe for just plain old boiled pigs feet.